Valvoline is a leading worldwide producer and distributor of premium branded automotive, commercial and industrial lubricants, and automotive chemicals. 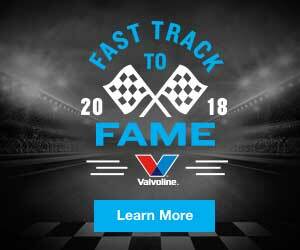 Valvoline ranks as the #2 quick-lube chain by number of stores and #3 passenger car motor oil brand in the DIY market by volume in the United States. The brand operates and franchises more than 1,070 Valvoline Instant Oil Change centers in the United States. It also markets Valvoline lubricants and automotive chemicals; MaxLife lubricants created for higher-mileage engines, SynPower synthetic motor oil; and Zerex antifreeze. Baker's Tow Service is a family-owned auto wrecker company. Since 1967, Baker's Tow Service has established a towing services division, offered auto wrecker and developed a flat bed towing service for its Basehor clients in Leavenworth County. Baker's Tow Service has become Basehor local auto wrecker favorite. Casey’s General Stores owns and operates more than 1,700 convenience stores in fourteen Midwestern states: Arkansas, Iowa, Illinois, Indiana, Kansas, Kentucky, Minnesota, Missouri, Nebraska, North Dakota, South Dakota, Tennessee and Wisconsin. Casey’s General Stores supplies quality self-service gasoline, made-from-scratch pizza and donuts, sandwiches, hot and cold beverages, grocery items and a whole lot more – primarily in smaller communities with populations of less than 5,000. Enjoy a memorable stay in the Midwest when you book a room at Courtyard Kansas City Airport. Our hotel in Kansas City, MO offers complimentary transportation to Kansas City International Airport (MCI), just 5 miles from our front door. Other popular destinations near our hotel include the Zona Rosa shopping center, Legends Outlets Kansas City, Kansas City Convention Center, KCI Expo Center and Power & Light District, home to a huge variety of nightlife and dining. After a busy day of exploring the city, retire to spacious guest rooms featuring modern decor, free Wi-Fi, luxurious bedding and flat-panel cable TVs. Grab a snack or cocktail at The Bistro - Eat. Drink. Connect., our popular on-site restaurant open for breakfast and dinner. Active travelers will appreciate our Platte City, MO hotel's indoor pool and 24-hour fitness center, and guests planning a meeting or party will enjoy two stylish event venues. Make the most of your upcoming trip. Book a stay at Courtyard Kansas City Airport today. Johnson County Key Service is here to give a professional locksmith service at a fair and reasonable price. Knowledgeable, Their highly trained staff are knowledgeable and help anywhere from 100 to 125 people a month get back into their car, home, work or safe. Joslin’s family owned-jewelry store was established in 1977 and has been in Overland Park for 30 years at 95th and Antioch. We have three full-time jewelers on staff to design, repair and re-create and custom design your jewelry. The store manager, David Carpenter, has been with Joslin’s since 1994. When you come to Joslin’s you can be sure your jewelry is in good hands and never leaving the premises. Kaw Valley Companies is Kansas City's premier source for sand, gravel, dirt, demolition, excavating, grading, onsite recycling and construction waste removal-disposal-recycling via our clean rubble landfill. We have provided three decades of exceptional service for a wide variety of municipal, industrial and commercial clients. Our locations are conveniently located in Kansas City, Kan., and we proudly serve the entire greater Kansas City area. Metro Pawn is a family owned business! We are dedicated to providing a friendly environment to make your visit as easy and as quick as possible. We provide pawn loans, new and used quality merchandise, and much more. It's easy! Just come in or give us a call. Sutera’s serves quality Italian food. We have pizzas, sandwiches and pastas. We’ve been serving the Shawnee area for over 10 years. Find us near Shawnee Mission Parkway and Monticello across from the Price Chopper. Toner Jewelers is your locally owned and operated family jewelry store for over 33 years. When you walk into Toner Jewelers you have a feeling of comfort knowing that what you purchase will always be of the finest quality at the best prices coming from a name you know and trust. From unique estate pieces to pre-owned Rolex watches and a LARGE selection of bridal you are sure to find what you are looking for. Come in and see familiar faces with over 65 years of combined experience and see for yourself what if feels like to be a part of the Toner Jewelers Family.